The French Janine Abraham and the Dutch Dirk Jan Rol met for the first time in 1955 in Jacques Dumonds Studio. It immediately clicked, both privately and professionally. Their first jointly designed furniture was shown at the Salon des Artistes Decorateurs in 1956. In 1957 they opened a joint design studio. Sometimes one plus one can make more than two, they say: The clash of rigour and straightforwardness with fantasy and intuition makes the combination of Abraham and Rol so special and productive. 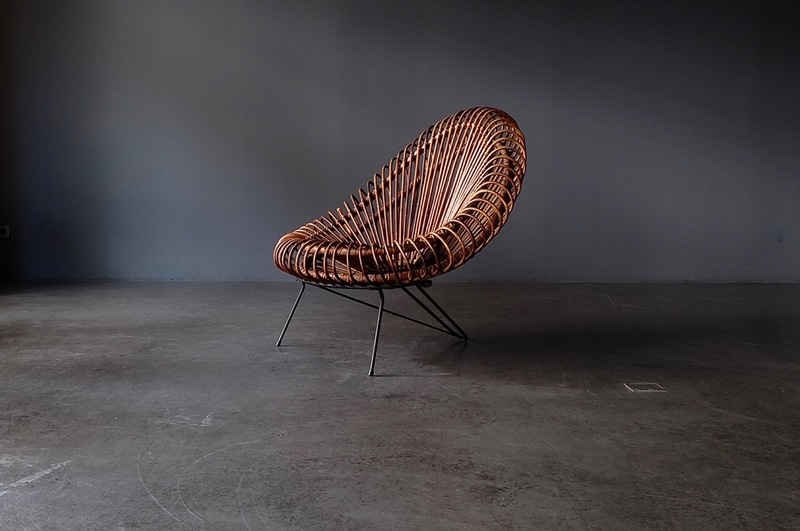 It resulted in many great designs, especially the wonderful bamboo chairs like this beautiful piece.